Chapter 3 will start late summer, around end July – mid August. 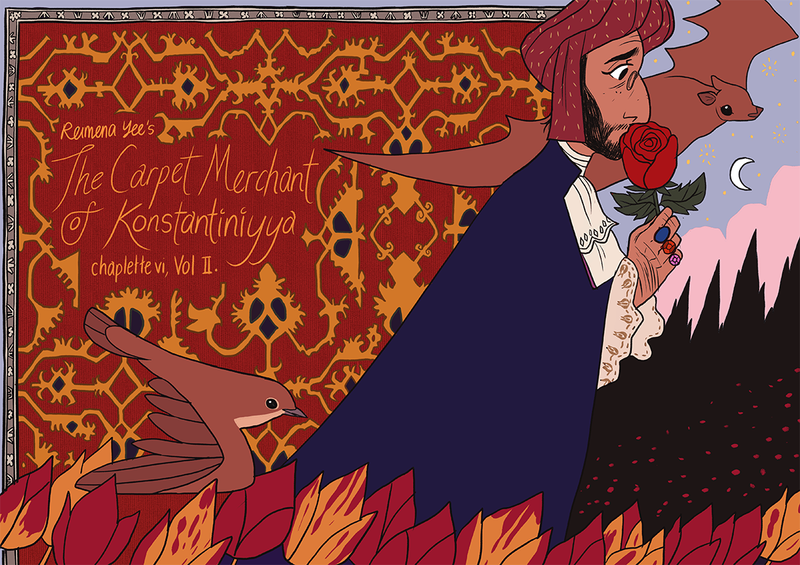 Vol II follows Zeynel, an Ottoman Turkish vampire, as he settles down into a new life in England. There he becomes the center of the contemporary trend for all things Turquerie, through which he explores the relationship with the home and life he outlived to themes of nostalgia (on his end) and exotification (on the white Europeans’ end). For awhile he is content with his passion for collecting folktales, and making true friends out of strangers, but an aspect of his past – the night his human life ended (Vol I) – continues to haunt him. His new life soon takes a turn when his past comes knocking at his door one day, begging for his forgiveness. I’m so excited!! Vol II is a continuation of the themes in Vol I – of love, loss, compassion and finding strength/comfort in God. 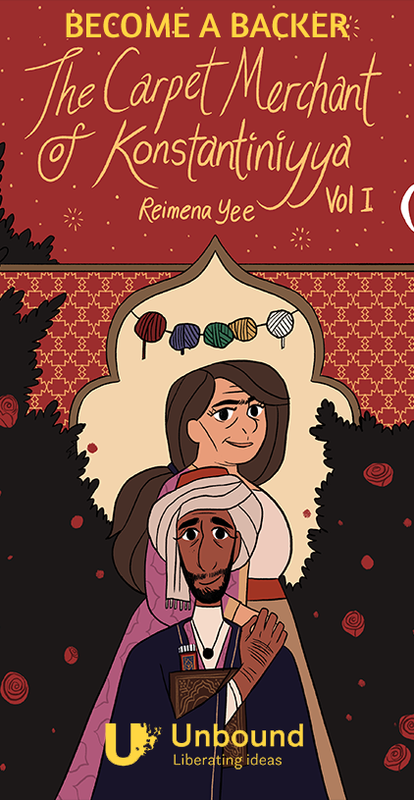 The main plot now is centered on the memory of home, which comes in multiple dimensions – grief, nostalgia, culture shock, culture clash (specifically, how your lived reality of home contrasts with a foreigner’s misconception of it), confronting trauma and learning that you are a story of not just yourself, but of the people you love and who made you. Moving to Melbourne and for the first time in my life experiencing white people (seriously) and the western dynamics of culture with its microaggressions provided a lot of inspiration behind this. It is also a bit funny making it a vampire story! But it follows the original tradition of vampire novels, which focused on cultural anxiety, the fear of the Other, and the threat against the home. The big difference is that in this story, the white gaze is replaced and deconstructed by the (non-western) POC gaze. Of the protagonist, and of the author.